There are various ways to contact GearHost however the preferred way of communication when you have an issue is through a support ticket. Yeah those pesky little things you write just to wait about a week to get an answer that doesn't make sense and only leaves you more frustrated. No, not exactly. 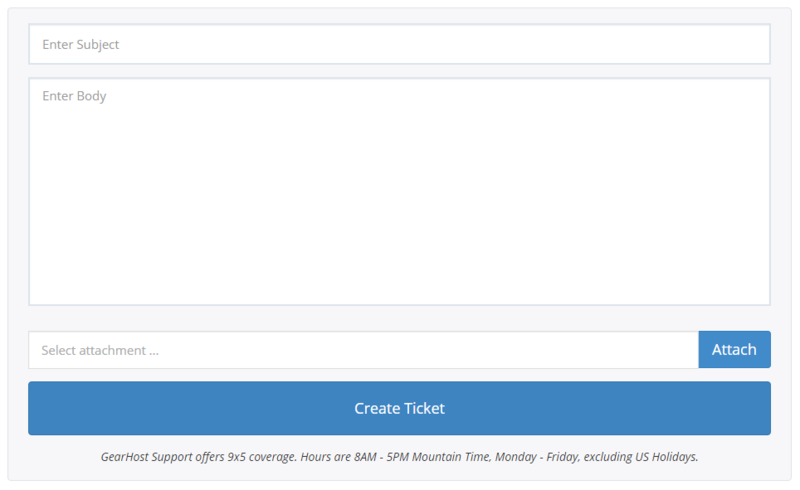 At GearHost everyone, I mean, everyone monitors tickets. As long as it's within our support policy, including hours, you'll have an answer quickity split. Our awesome engineers will reply shortly and you will receive an email alert notifying you of our response. You can reply via the email or reply via the control panel. Tip: Saying "site broken!" doesn't help us a lot. Be clear and precise including any key information like the CloudSite name, error messages, codes, screen captures, etc so your website can be up and running as soon as possible.